This small circular route is totally established at the geosite and protected area for resources management of Caldeira de Guilherme Moniz, known for its macaronesia woods and peatlands that assure the recharge of the aquifers in this volcanic complex, with around 23 thousand years. 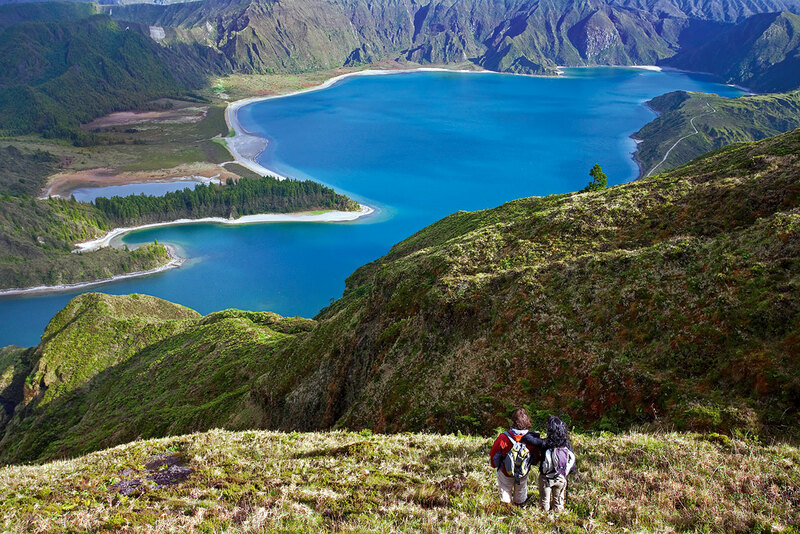 Located in the volcanic massif of Cinco Picos, this small route travels along the Southeast coast of the island, passing by remains of ancient maritime defensive forts (16th - 17th century) and ending in the village of São Sebastião. 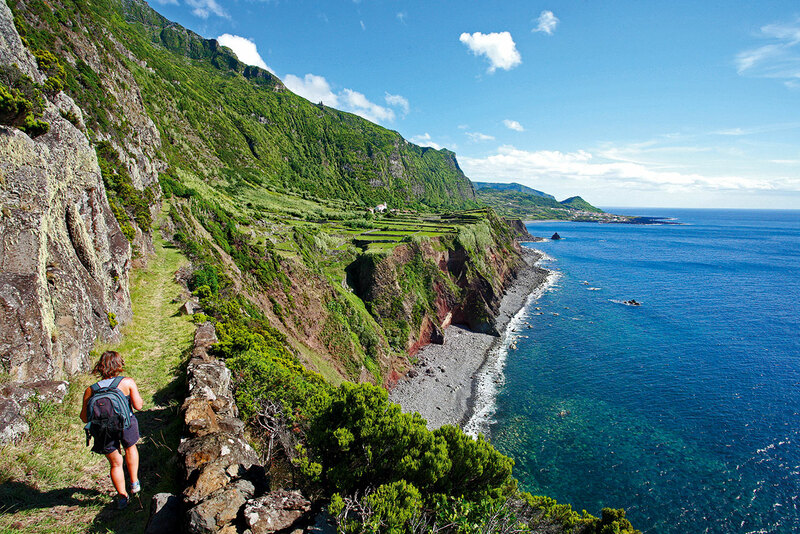 Begin the trail on the main road towards Ponta das Contendas. Go around on your right with a view over the lighthouse of Contendas and the islet - Ilhéu das Cabras - at the bottom. Go down the path to the Forte da Greta and Santa Catarina das Mós (both from 1581) and enjoy the view over the bay (Baía da Mina), ideal place for surfing. This trail begins in a place called Malha Grande in the upstream area of ​​the village of Biscoitos, next to the regional road. 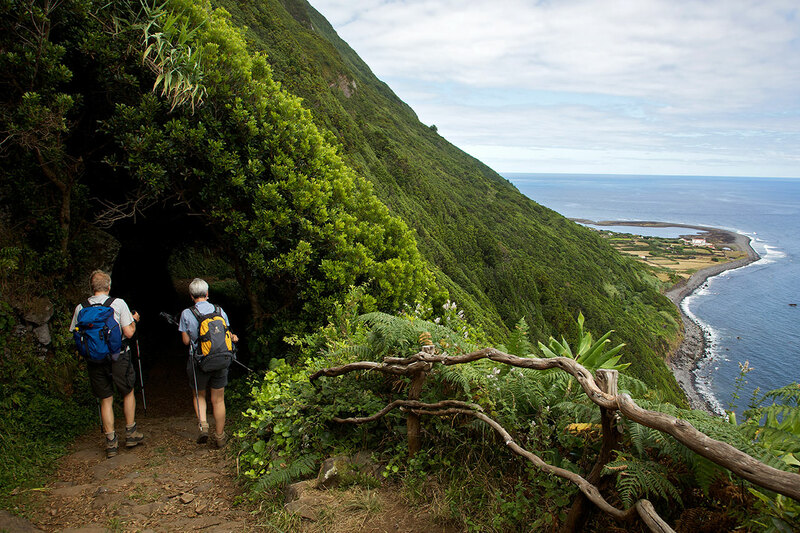 Start by taking a gravel trail flanked by endemic flora, including Azores laurels (Laurus azorica), Azores heathers (Erica azorica) fire trees (Morella faya) and Azores junipers (Juniperus brevifolia). When you arrive at a fork, turn left to a cobbled street that will guide you to a watercourse in a Japanese cedar wood. This trail starts next to the picnic area of ​​the village of São Brás. Leave the car park where the information panel is located, keep to the right of the asphalt road for 200m until you reach a place where there is a monument honouring old oxcarts. Turn left onto a dirt trail, where further ahead, you will find the Relheiras, the marks carved in stone by ancient oxcarts. You can spot two types: narrow and V-shaped; broad and flat. The trail begins next to Relvão Park in Angra do Heroísmo. Start by climbing an asphalt road towards the Fortaleza de São João Batista [St. John the Baptist’s Fortress]. Near the guardhouse, turn left and continue for 250m to a fork where you should turn left to the Ermida de Santo António [St. Anthony's Chapel].